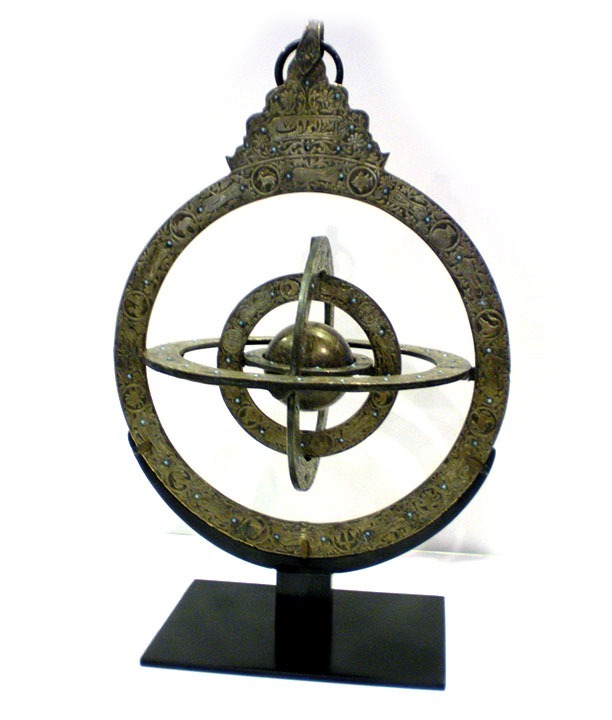 Decorative brass astrolabe formatted for table top display with custom blackened steel mount. Challenging objects require a unique presentation. Armand Lee’s experts are well-versed in hand building custom pedestals, metal museum mounts, light boxes, and other display for sculptures and objects. Allow us to help you design a custom display.